Tax included Normally within 24 hours plus the shipping time. Ultra high performance regulator, positive output voltages. The pcb has four layers and gold pads. It's an unpopulated pcb. As a service you can have the AD825 soldered by me.  Delivery normally within 24 hours. If it's longer a message will be sent. Security policy: See link at the bottom of this page. Delivery policy: See link at the bottom of the page. Return policy: See link at the bottom of this page. 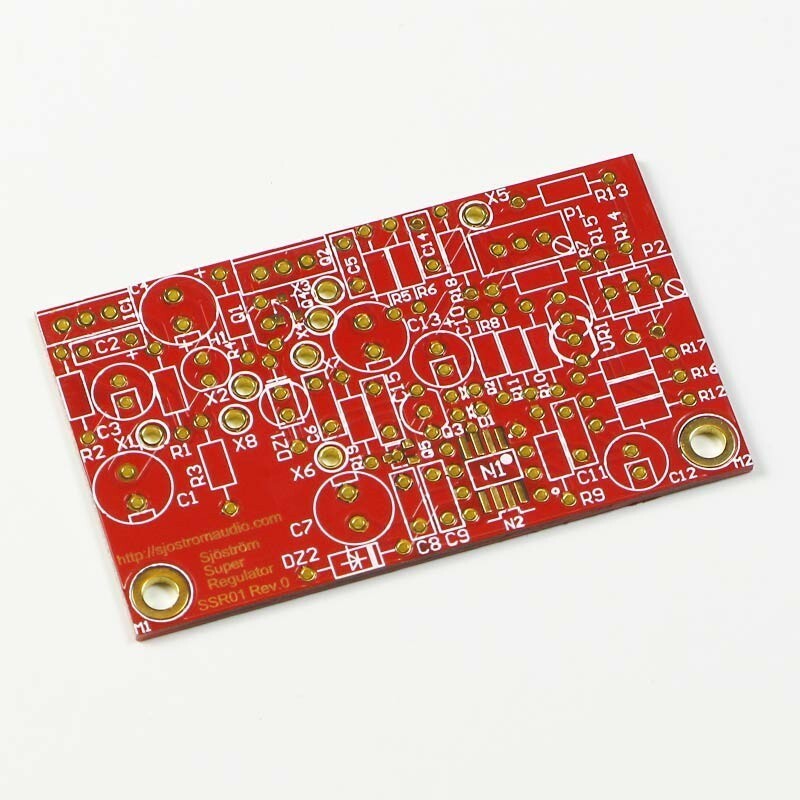 4-layer pcb with 70 um (2 oz.) copper. Extremely low output impedance in the audioband. Easy to change voltage, also to negative voltage but this particular design (pcb) requires two different pcb's, one for positive voltages and one for negative. Well-known and well-tested in serious and demanding applications. 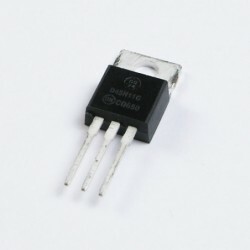 Option for TO92 or SOT23 transistors for the small signal transistors. Option for DIL08 or SO08 opamp. 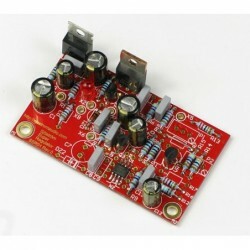 LM431 (and similar) reference or devices like LM329. The pcb has a universal footprint. Trimming options for both the reference and the feedback. Room for extra resistors and trimpots. One output with sense inputs. All resistors 10 mm so it is possible to use a cut and bending machine for those parts. Option for using higher voltage than the max supply voltage for the opamp.